The High Court decision granted Rebecca Carter the right to enter College late, after her leaving certificate marks were totted up wrong. Minister of Education Joe McHugh is to appeal a prominent High Court decision – which allowed a leaving certificate student late entry into college after her marks were incorrectly totted up – contesting the finding that everyone has a right to access higher education. 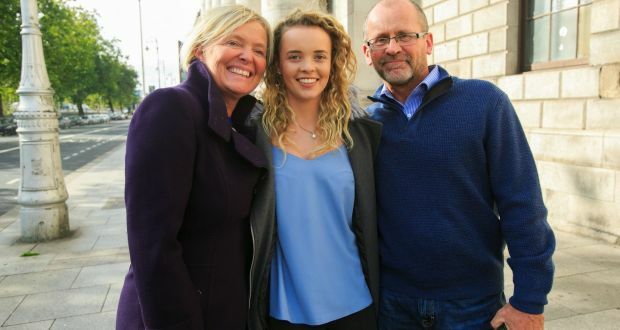 This comes after the case taken by Rebecca Carter, who was denied a place on University College Dublin’s (UCD) veterinary medicine course after her leaving certificate points were added up incorrectly. Carter successfully challenged the decision to refuse a re-checking of papers in the necessary time to be admitted, with the High Court finding that the marking system was “manifestly unfit for purpose” and that swift reform was necessary for the following exam season. It was found that there is a right of reasonable access to “available higher education and vocational training”, flowing from the constitutionally protected right to earn a livelihood. “In the modern world, it is difficult and in some cases impossible to earn one’s livelihood without access to higher education and vocational training”, the Court said. The Irish Times reported that the Court’s decision to recognise the unlimited right of access to higher education will be appealed by McHugh. Documents relating to the appeal state that this decision has “broad implications and will most likely result in others initiating proceedings in reliance on those findings”. The department is requesting “legal clarity” on the judgement in advance of the 2019 exam period and third-level place allocations. The appeal is considered a priority case and is expected to be heard in April. The Rebecca Carter case has had major implications for the leaving certificate appeals system. Traditionally a student would wait until October for the results of rechecks, after the first-round offers have been allocated by September. This often results in students missing out on their course, and needing to take a year out or re-sit the Leaving Certificate. Five-thousand students appeal their results every year. A new correction system has been introduced, shortening the marking period from eight weeks to five, and online marking will now be used in the process. Appeal results will be returned a month earlier than in previous years and the leaving certificate results will be released a day earlier.